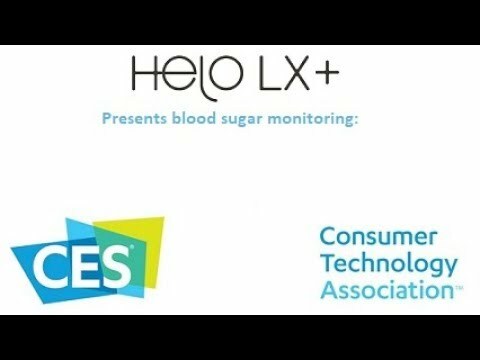 Introducing, Helo LX Plus & Helo Extense Non-Invasive Blood Sugar Monitor! If you submit the form below, you will receive a welcome email right away and your Helo LX Plus Sponsor will contact you directly. The Helo LX Plus advanced wearable wellness device is a new disruptive technology that is making a statement and changing the game. 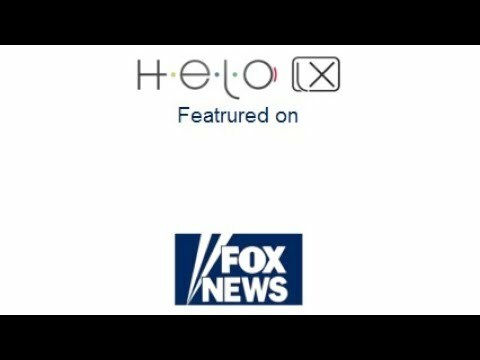 HELO is an acronym for Health and Lifestyle Oracle, so the new Helo LX Plus is built to help guide you toward a healthier lifestyle. In addition to performing the standard wearable device functions such as tracking your steps, heart rate and calories burned, the new Helo LX Plus also monitors your mood, energy level, blood pressure, EKG and much more. 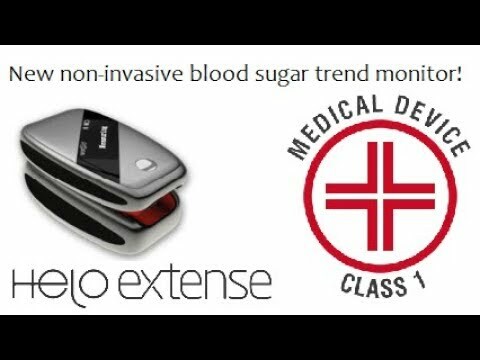 With so many features to benefit your busy lifestyle, perhaps the most noteworthy is the recent release of Helo Extense, the worlds leading non-invasive blood sugar monitor. With the Helo LX Plus and Helo Extense coupled together, it is now possible to monitor your blood glucose levels without painful finger pricks! Pioneered by product designer Antonio De Rosa the creative mind behind the Apple iPhone design, the new Helo LX Plus may be the world’s most advanced lifestyle wearable. Especially relevant is the fact that the new Helo LX Plus is the first product to use Toshiba’s revolutionary light Nano chip processor technology. 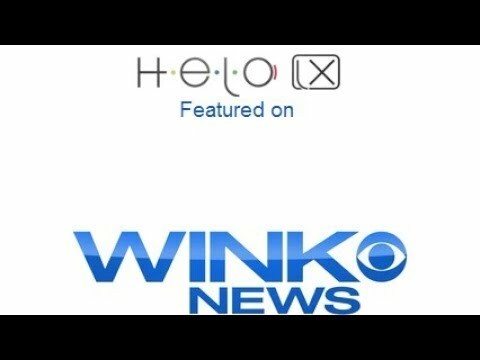 Since its introduction by Toshiba at the Consumer Electronics Show, the largest technology event on the planet, the new Helo LX Plus has captured media attention around the world. As a result, a lifestyle revolution has been ignited and embraced by people of all walks of life from every corner of the earth. Helo LX Plus must be paired with a device with data connection that is active and available. 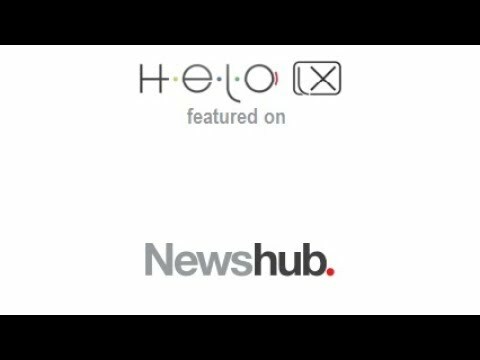 Some features require Helo Pro Plan or Loyalty Mebership to be active. Compared to Apple, Samsung, Fitbit & Microsoft. An electrocardiogram, commonly refereed to as an EKG or ECG is a test that looks for problems with your hearts electrical activity. According to WebMD, an EKG is used to “Check the health of the heart when other diseases or conditions are present. These include high blood pressure, high cholesterol, cigarette smoking, diabetes, and a family history of early heart disease.” In comparison to modern medical equipment, the Helo LX Plus is a state of the art wearable EKG monitor that delivers highly accurate test results. Powered by TOSHIBA ApP Lite™ technology, the Helo LX Plus is also a wearable blood pressure monitoring device. Simply enter your acceptable blood pressure range and wear your Helo LX Plus on your wrist. Through out the day, your Helo LX Plus will automatically measure and log your blood pressure. Together with the mobile app, your Helo LX Plus will alert you and up to three of your closet loved ones if you are outside of your prescribed blood pressure range. Even more, you will have the ability to send routine reports to your personal physician. Germanium, also known as number 32 in the periodic table of elements is a naturally-occurring semiconductor and antioxidant. The Helo LX Plus includes three 99.9% pure Germanium stones that you have the ability to custom fit to the inside of your wrist band. When worn together with your Helo LX Plus, the 99.9% pure Germanium stones may produce a variety of wellness benefits. Altogether, potential wellness benefits include: helping your body maintain its natural balance, reducing your pain and stress, and promoting harmony. The Helo LX Plus is not only designed with your health and wellness in mind, it is also concerned with your personal safety and security. Together with the mobile app, your Helo LX Plus has two key features. First, the Guardian will alert your loved ones if your vital bio parameters are outside of your acceptable range. Furthermore, the SOS feature allows you to alert your predefined network if you are ill or feel unsafe for any reason. Finally, you can give your self and your family peace of mind. Always wear your Helo LX Plus and never be alone again. The perfect companion for your Helo LX Plus. Available for Android and iOS. Together with the mobile app, WeCare allows you to effortlessly track the wellness of your closest friends and family. In fact, you can simply use your mobile app to remotely monitor their bio parameters and take better care of them. Above all is the peace of mind you will have knowing that you will receive an immediate alert when your loved ones need you most. *requires Helo device to be paired with a smartphone or tablet, with an active data connection and GPS signal. 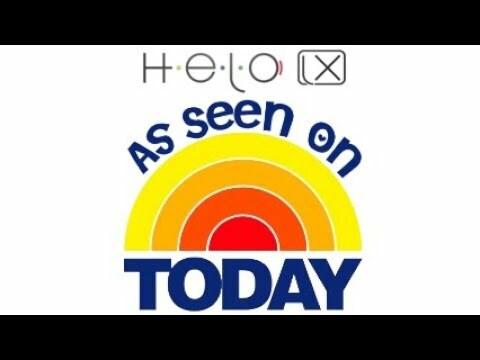 Together with the mobile app, your Helo LX Plus wrist band can be used to activate the built in SOS feature. In fact, with just two taps, an SOS message including your GPS location will be sent to your loved ones via SMS, call or in app notification. Together with the mobile app, the Guardian feature will alert your loved ones if your bio parameters are abnormal. Simply enter your acceptable ranges and determine who will get the alerts. More importantly, you will have the peace of mind that your loved ones will be alerted in the event of an emergency such as a heart attack or stroke. LifeLog is exclusive technology used to gather, analyze and store your bio parameter data. Together with LifeLog, LifeOracle uses this data to produce trends, reports, analytics and personalized plans to help you gradually improve your lifestyle. 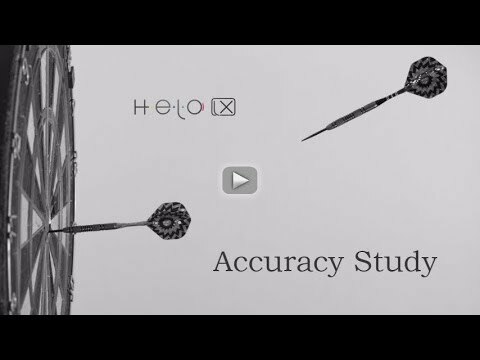 Consequently, the more you wear your Helo LX Plus the more accurate your LifeOracle will become. 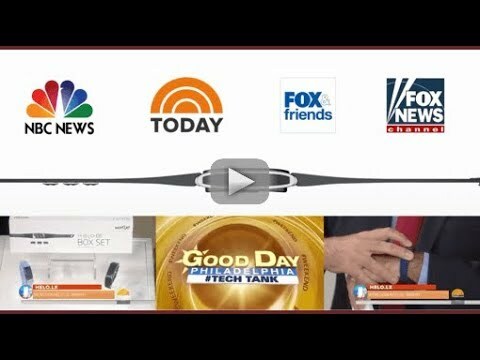 Loyalty Membership is probably the best part of joining the Helo LX Plus revolution because there are so many benefits included with your loyalty membership. First of all, you earn 75 Loyalty Points every month you renew your loyalty membership, and loyalty points grant you access to tons of valuable products and services. For example, through our Mobile Forever and Wearable Forever programs, you will have access to a brand new WOR(l)D device every year for FREE. In addition, once you have been a loyalty member for at least three months you will be enrolled in the product protection plan, and as a result all your WOR(l)D products will have full protection. Even more, you will be able to exchange your loyalty points to discount WOR(l)D products, or you may save them to achieve a higher membership status. Earn 75 loyalty points each month and you will bank $75 that can be applied toward for a variety of WOR(l)D products, including: the new Helo LX Plus, accessories, BioZen and the Infolio smart phone (coming soon). Collect your loyalty points and level up your Membership Status, with three levels; basic, advanced and premium. In addition, each level comes with Bonus Loyalty Points and extra perks so it definitely pays to collect your loyalty points. As a loyalty member, you will be able to unlock the full potential of up to 5 Helo devices with the Pro Plan x 5. Since, the pro plan is valued at $12/month for each user, this a $60/month value. In your third month as a loyalty member your wearable and mobile devices will be enrolled in the Protection Plan. As a result if your devices are damaged or not working just send them in for replacement devices. “The End of Smartphone Era is coming” . The technology revolution has prompted thousands of companies to design and develop new technologies in order to capitalize on new ever growing markets. However, few companies can be considered as innovative as World Global Network aka WOR(l)D which was born in 2011 by the will of its founder Fabio Galdi. While working for decades in the IT industry and obtaining several successes all over the world, Galdi was finally inspired to realize his dream of creating a tech company with an unparalleled opportunity to change people’s lives. As a result, WOR(l)D has grown into a publicly traded company based in America with 15 offices worldwide. In addition, WOR(l)D is a major global player having put into market revolutionary products and services in the IT and high technology sectors. Since its birth in 2011, WOR(l)D has continued its unstoppable race towards the development of new technologies engineered to improve people’s lives. Notably, the newest edition to the WOR(l)D product family is the Helo LX Plus advance wearable device. Forged from years of research and development, the Helo LX Plus is possibly the most innovative wearable device ever built. Even more, it is based on a new concept of mobile and wearable technology which vastly distinguishes it from its competitors. Above all, the Helo LX Plus is the latest device in an ongoing project dedicated to collecting, analyzing, and applying bio parameter data for the primary purpose of improving people’s daily lives and overall well being. Altogether, the large amount of data collected during hours, days, weeks, months and even years of bio parameter tracking is the basis of a market that stock analysts define as the new gold rush which translates into a trillion dollar industry. Therefore, WOR(l)D plans to become a new billionaire company in the field of mobile and wearable technology in the coming years, and it doesn’t want to do it alone. 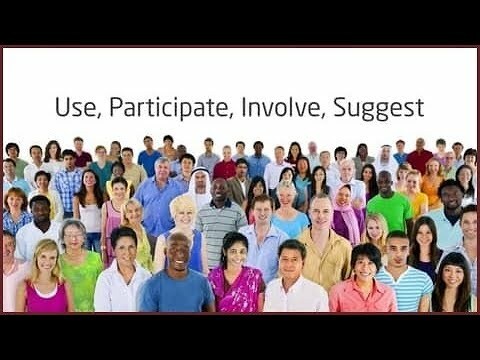 As a result, WOR(l)D is giving you the opportunity to share in the success and profit generated from the mobile and wearable technology revolution. In conclusion, do not just use mobile and wearable technology, become a pioneer in a social, cultural and economic revolution that includes a customer referral program which will allow you to reach the financial independence that you’ve always dreamed of. This is a distributor website managed by an official WOR(l)D distributor. Trademarks Disclaimer: WOR(l)D, the parenthesis logo, World Global Network are trademarks of World Global Network Pte. Ltd. OpenApi, Helo, Helo LX Plus, Helo App and HeloAppStore are trademarks of World Media Technology Corp. All other trademarks cited herein are the property of their respective owners.